Was recently invited by my good friend Juli Slattery to be a guest on her wonderful show, Java with Juli recently. She is a great interviewer, asking very practical question. 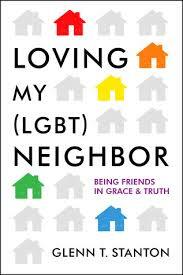 Listen in for some good advice in dealing well in relationships with our LGBT family members, co-workers, friends and neighbors in both truth and grace. She also asked me to write up a quick post providing more advice on her website, Authentic Intimacy at Christianity Today’s Today’s Christian Woman. Listen and read, then share with your friends. No, right now!